It has been confirmed that the critically-acclaimed 2D platformer Cuphead is coming to Nintendo Switch. The news was the headline of today's Nindies Direct broadcast, which made a point of thanking Microsoft for making the port a possibility. Cuphead was previously a Microsoft exclusive. It’s no secret that Cuphead is a direct descendent of retro action games like Contra on the NES, so it’s surreal to finally have one of our own games on a Nintendo system. We’re beyond thrilled to be able to bring Cuphead to a brand new audience on Nintendo Switch. Playing the game on a console with such a big focus on local co-op really reminds Jared andI of our days gaming together as kids. Studio MDHR announced today via the Nintendo Switch Nindies Showcase Spring 2019 that Cuphead will land on the Nintendo eShop on April 18, 2019! What’s more, the game is available for pre-purchase starting today for: $19.99 USD, $25.99 CAD, £16.99, and 19,99€. + CHARACTER SELECTION! For the first time ever, select Mugman right from the start of your adventure in single player! + FULLY ANIMATED CINEMATICS! Now, all of the game’s cutscenes play out in fabulous locomotion! + FULLY LOCALIZED TEXT IN TEN ADDITIONAL LANGUAGES! In addition to English, we’re thrilled to be able to offer Cuphead in French, Italian, German, Spanish, Brazilian Portuguese, Polish, Russian, Japanese, Korean, and Simplified Chinese. We know how long folks have been waiting for this, so we took special care in the quality of each translation, and curated fonts that felt just right for each audience. In fact, we even partnered with expert calligraphers to bring the Boss & Level title lettering to life in Korean, Chinese, and Japanese – drawing inspiration from the early cartoon works of each country! + OODLES OF BRAND NEW ANIMATION AND ART! Cuphead and Mugman have multiple fight intros! Legendary Chalice now grants Super Arts with a blast of magical energy! Mummies explode in a shower of confetti! Dozens of other dazzling additions and adjustments throughout the game! + Bug fixes and tweaks! That's not all, however – it has been confirmed that you'll be able to unlock Xbox achievements in the Switch version of the game. A rumour stating that Cuphead was Switch-bound circulated a short time ago; now we know this to be the case, could we see other Microsoft console exclusives make the jump to Nintendo's machine? The game launches on April 19th, and is available for pre-purchase now. What a surprise! that is really amazing! Cuphead is also on Steam, so it's not a huge surprise. Journey is on Steam as well. It's similar to SnipperClips appearing on another console or PC one day. I only want Perfect Dark from Microsoft. @Octane Steam isn't a console. WOW! Nintendsoft for the win! I am stoked that this is coming to Switch! I'll buy it on whatever system gets the first retail edition. I've been waiting for it since they promised it would come, but I'm still waiting. Hopefully the framerate isn't cut at all. Already own it on PC but would gladly buy again if it's on par with the other versions. Wow... That is fantastic. Hopefully a sign of more things to come. A Forza with Cross Achievement with PC would be amazing! Excellent news! Time to finally get it. Feels more comfortable to play on the Switch IMO. I saw this coming, just woke up. I'll likely buy this game again just to have it on the Switch. @Octane The game is a console exclusive; a deal was signed to secure it for Xbox One. That it's coming to Switch is a big deal, and clearly involved a lot of discussion between MS and Nintendo. meh. I want to play, but the difficulty pushes me away. @Damo I'm sure it did. But the rumour said ''like Mario on PlayStation''. If it was Crackdown or Sea of Thieves, yeah that would be like Mario on PS4, but Cuphead feels different to me; even if it's a ''console exclusive''; it wasn't exclusive to Microsoft to begin with. Let's have Rare Replay now! they're also all in on Azure and are basically pushing windows to the background. MS is all in on services. Double dip time! Genuinely getting close to the point where I don't need any other consoles! Also that direct was ace! A tonne of stuff to keep my eye on there. And what was that Legend of Zelda thing??? I own this on Steam and have nearly completed it. But I just don't like playing on PC. I'll probably buy this again on Switch. This is awesome! I had always intended to get the Xbox One version, but now it looks like I will have to get it for Switch, instead! The fact it's coming so soon is an even bigger surprise! Good sign for the future. Looking forward to this and hopefully others (read: Rare Replay). I can't believe this is happening!! Thank you all involved!! I can barely beat three bosses in the PC version... I'm not going to buy it for a system that's so easy to throw. Own it on XBONE...tough as nails, but a great classic title nonetheless...not one that I'd re-purchase again though. I heard it's coming on Switch and PS4, which was stated when it first arrived on XBONE...was waiting. Kinda makes you wonder about Xbox's future though, if they start releasing their games on other consoles. Can it come to Switch with an easy mode please? I'm also hoping for a physical version. What makes you think it will probably happen? @Moroboshi876 I saw an Xbox retail edition of Cuphead once on Amazon France. It may still be there. I think however it was just a proper game case with cover with a code inside, I don't think it was a disc. STEVE IS CONFIRMED FOR SMASH!!! 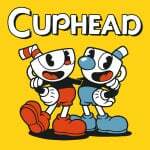 @Mando44646 I prefer easy modes and easy games, but have had fun with Cuphead. It is frustrating sometimes, but if I keep playing levels or bosses over and over in the easiest mode I can eventually beat them. And it is fun. And it has amazingly good graphics, art design, music, and gameplay! I think they can get this game running at 60fps with basically the same graphics as pc and Xbox one. I hope the loading times are short. I definitely prefer the PC version over Xbox one because the loading times are much shorter on PC. Anyway, getting all my moanings out of the way ; it's cool to see Cuphead coming to Switch. It's a pretty neat game, I love the art style. Seems to lend some credence to all those Microsoft rumors. I for one am really looking forward to playing this. Cuphead and Mugman for Smash! WOAH STEVE IS MY FAVORITE CUPHEAD CHARACTER! Halo is coming to Steam. As much as I disagree with putting consoles and PCs into separate categories (fanboys love to do this to deflect comparisons between the two), you'd still consider Halo a console exclusive for Xbox. Cuphead on Xbox was the same way, until now. This is fantastic, I've been eager to play Cuphead for a long time, and this is just the perfect system for it. Now, is this going to get a physical release? time to get a lot of gameovers on the go! Awesome. Now I’ll actually play this game. Bought for my X at launch, but never played it because it didn’t feel right on that console. Now that it’s coming to Switch, however, I’ll definitely give it a go. I'm not the double dipping type, but this truly amazing. 'Bout time, too! @PBandSmelly Microsoft collab with Nintendo...? Ok, be that way. played about 70% on the XBONEX its a beautiful game but also hella hard. Obvious double dip for me. Not my type of game, but great news! @Mando44646 Play it anyways. You only live once! And the Nintendo version might be weirdly easier than on Xbox/PC. Certainly I was pleasantly surprised to find I found Trials Rising easier and more enjoyable on Switch than Trials games were on Xbox. @Octane That’s just fanboys blowing things out of proportion. If Nintendo was to actually trade and exclusive for Cup Head it would be Sushi Strikers of something. Microsoft doesn’t have an ip as valuable as Mario. Period. Glad I've held off until now. But now I want to hold off longer to see if there's ever going to be a physical edition. @Kirbster1992 You fricken genius, that would be amazing to see Cuphead in Smash! Tweet campaign needed!!! That's an EPOCHAL announcement, no doubt about it. @Lionyone It's like you said: a case with a code. Not the same. The thing is some sources said that the physical edition, collector's included, would come along with the long awaited DLC, but it doesn't seem to be much info about this. I only hope it doesn't take much longer, I want this game since I knew about its existence, and it was a major disappointment when it got released only digital. But soon after that they promised a retail version that is taking a looong time. I'm so buying physical of this. I feel hot just thinking about it! I'm going to tweet-beg Microsoft and Nintendo and the studio who made it to make it physical. If it doesn't come physical I'll get digital. @faint Even if it's a small IP, I'd be shocked for any company to willingly give one away. Not just Nintendo either, it just seems to be a general thing with game companies to keep IP's and let them sit (or in the Big N's case, have them cameo in Smash ). I wonder if this might be a means to help the game sell in Japan, sort of like with Minecraft since XBox was never popular there, and computers haven't really been too big either. I've never been too interested in Microsoft, but it's still weird to see one of the big console companies being so buddy-buddy with each other, heh. Best announcement of the Nindies Showcase by far, not just because of the game but what it means for Microsoft and Nintendo's future collaborations. Maybe Banjo in Smash will happen! I seriously think Cuphead on Switch will be the best version of Cuphead. You've surely all noticed how the Switch processor and graphics chip and screen are all optimised for cartoon style graphics. No other console or PC can match the fun and beauty of cartoon style games on Switch. Hopefully the game itself is improved in its Switch offering to make it a little easier and faster. But even if it isn't I think the Switch version will still be the most fun and intuitive and easiest version of Cuphead to play. Bring it on! Let's all have cups of tea! Wish this was available today... now that would have been a bombshell shadow drop! Instead of the meh they shadow dropped. @Alstil Well because it got a physical edition for the Xbox and it would be awesome. I just hope its not like $30+ But $19.99 would be a great price. I just checked the price on the Microsoft store it says its $19.99. hope nintendo doesn't raise the price. @Octane Good news. Halo is coming to steam now lol. I've wanted this for so long... I could almost cry right now. @NinjaWaddleDee @Spudtendo lol, never mind in that case. They're just handing out IP like candy at this point. Is there still a reason for me to own an Xbox One at this point? That was such a perfect trailer to open the presentation. I was like "huh?" and then I was like "YESSSSSSS"
@faint You're probably right. Though Halo is kinda big, not as iconic as Mario, that's certain, but still. Did the milk spilling on the table signify a multitude of gamers wetting themselves a moment later? I bought it on PC via GOG to have it DRM-free. It also plays well on Linux. It's hard, but I think its difficulty is overstated by some as the game is quite beatable. It's fair in that the game makes it clear what you need to do, it's just tricky to make it happen. But I do love run-n-gun and boss-rush games. Some of the toughest bosses in the game were my favorites to replay. It's a bit surprising to see it on Switch because it was originally a console exclusive for Microsoft. Perhaps the Switch is not considered a console in this case. Also, the fact that it's been out a while may have helped. Offering it on Switch is a way to boost sales as most people who wanted it already bought it. Good news for any Switch fans interested in it. And the PC requirements weren't especially high, so it may run very well too. This is so cool. Cuphead not being on a Nintendo platform felt so wrong. YES YES YES!! Thanks, Microsoft. Start of the video was so good and super weird. Bravo. Also, yeah the game....I heard it was extremely hard but those visuals phew! Who says this is the game the leak was referring to? @Octane the sales of Halo are actually on par with Animal Crossing (believe it or not). @Octane It's now a case of options rather than "have to buy console because of exclusives". Remaining XB1 exclusives are Halo 5 (only Forge part available on PC though that could easily change after MCC/Infinite happens), a few delisted Forza games (Motorsport 5, Horizon 2) and Kinect games (e.g. Kinect Sports Rivals, Dance Central Spotlight). Think that's it. @Octane I think they just want as many people playing it as possible. Honestly, I wish other companies like Sony and Nintendo would do the same thing. I'd be so in love if we got Gears of War next. Even just a trilogy port would do. come on come on come on Ori and Halo HD!!!!!!!!!!! No game or franchise is the equivalent of Mario on PS4. I don't even think it was the same rumour. Plus stop listening to rumours. @Grumblevolcano There is a huge pile of Xbox 360 games they could port over. Fable Trilogy? Halo Reach? Retooled Kinect Games? The Kinect itself?!? Friggin sweet! I am so happy to hear this news! @NinjaWaddleDee I think it would be good for Nintendo to sell some of their smaller franchises elsewhere. It could give them financial encouragement to bring things like the excite series back or make an hd remaster of eternal darkness viable. Finally!!!! There goes the only reason to an Xbox, so glad I have a switch right now. I'll use my red joy-con to play as Cuphead and my brother can play Mugman using my blue joy-con. @Malcrash he did say it was. We’re just saying it isn’t a lucrative as Mario. That’s a fact. Microsoft has a history of eating it's friends. Be careful Nintendo. @Octane Nintendo clearly thanked their "Microsoft friends" on the trailer of this game so I am sure that what you say is inaccurate. Awesome. This is an amazing game, and everyone should pick it up. Incidentally, the cutscenes not being animated was pretty much my one complaint about the game. I want to thank Microsoft. This is awesome, and didn't have to happen. Nintendo and Microsoft made it happen. Also, I recently played Death Tank on Xbox 360 and it is awesome! I would really love to have a deluxe version on Switch with online and local multiplayer coop and competition. Maybe they could even increase it to a 6 player game. I've always loved Worms, since the first PS 1 release, but I think Death Tank might be better. It's simultaneous Worms. Or it's like Party Golf where you are all attacking each other instead of trying to sink your ball. Such classic gameplay shouldn't be hidden away in an old Xbox live digital release! This is amazing! So excited! Only thing that could top this would be RareReplay/Banjo! This is going to test those Joy-cons to their limits! Will definitely appreciate my thumb grips for this. You really don't want any drift on this! Totally, given Rare's history with Nintendo fans! When asked, I remember Phil Spencer said it's up to Rare to bring it over! Here's hoping!! @Deckard_2 If they bring Ori I'd be so happy. I have never finished it and it would give me the ideal shot to do it on Switch. My daughter is gonna love this. She watches a lot of Cuphead gameplay videos and loves the game, even with having never actually played it. @Medic_alert Right back at you. It seems a perfect fit for switch and they'd make a load of cash. Love to play that on the go. @Moroboshi876 I hope they keep it digital only, as I do not want financially penalised so people can have a retail edition. @UmbreonsPapa let’s face it, none of us are gonna get past the first level. She’ll probably put more seasoned gamers to shame!! Cuphead will sell tons on Switch. My...my...my!! The Switch is looking too attractive to ignore to these devs. I'm sure Switch will be the best selling console of the year. No question! This is great news. Now PLEASE BRING ORI!!! Trust me...you all who haven't played Ori and the Blind Forest will thoroughly enjoy. It's one of the best indies I've ever played in my life. @Joeynator3000 @NinjaWaddleDee Nah, I think exclusives are a good thing. Nintendo and Sony exclusives are generally of higher quality than third party games, simply because they exist to sell a console, and not necessarily to make money. I rather buy an Xbox than play their games on my PC or PS4 as odd as it may sound. Without the need to sell a console, there's no need for high quality games. And I don't want to hate on MS, but apart from Forza, their recent games have all been a bit ho-hum. @JaxonH Oh well, in that case colour me surprised. I'm not sure which rumours are credible anymore. Have it on Xbox One, but I’ll definitely play this on Switch. ...Alrighty, then! Now we’re talking! Ori inbound, soon to be confirmed? King Zell clarifies Cuphead is not the game he was referring to with "previously impossible like Mario on PS". Says to "wait for it"
What’s funny is that when it was first teased I thought we may be getting We Happy Few. Glad to have been proven wrong. YES!!!! This is major news. What a big day for Nintendo. Played a bit of this on xbox. It's tough as hell. Not sure I should get this as throwing my xbox controller across the room in frustration might slightly scratch it, but throwing my switch across the room could cost a lot more. Banjo! Kazooie! Conker! Battletoads!!!! Killer Instinct!!!!! I still maintain nothing equals "Mario on PS4". @JaxonH File size would be way too big for MCC on Switch natively. This is still a smaller game, and I'm not quite ready to jump on the Halo/Switch hype train yet. But I've gone from a little dismissive to just skeptical of that recent rumor. Finished it on Steam last year, but I will buy it again on Switch for sure!! @rdrunner1178 Yes!!! That game needs to be next. The most beautiful side scroller ever. i wish mario had some of this beauty everything feels alive. This was easily the best news of the whole showcase!So excited for this! @Octane The IP is owned by MS. I really love how buddy buddy Nintendo and Microsoft are these days. Makes you wonder whether they'll join console forces fully in the future. Also definitely going to pick up Cuphead in the future, I love this old cartoon style! Well, nothing is supposed to "equal" it. The example was only given so people understand the type of impossibility, not the magnitude of impact. Though with that said, Halo coming to Switch would indeed match magnitude of impact as well. It would be the flagship mascot of one of the 3 main console manufacturers going to another platform. That's exactly like Mario on PS. Halo on Nintendo. Uncharted on Xbox. I'm pretty excited for this. I only own a Switch and my PC barely runs Project 64, let alone anything modern, so I never had the opportunity to play it. Even though it's $6 more expensive in Canada, I still think it's a good deal. Day one for sure! I'm notca fan of drinking tea from Cupheads but it's okay. I don't care anymore. Kind of sounds like Microsoft is exiting the hardware market and that the Xbox will be an app/brand for their gaming. That's cool. Would be also great is we could get the Ori games on Switch. @Octane You clearly misread the part where Microsoft gave permission for it to be ported. Read next time. @mikegamer Google paid them to say that. I disagree but I guess we will see! @Octane What Microsoft needs to do is, stop making closed platform consoles, and just make an open PC and Console hybrid. The OS would be a custom TV-friendly version of Windows, which lets you run any Win32 executable that a PC would (even stuff like Photoshop, etc). If MS made this, they'd have the ultimate entry level gaming PC. @Octane Journey isn't on Steam but is exclusive to Epic Games' Store. I only discovered this after going to try to find it on Steam upon reading your comment. To hell with Master chief, crackdown and all those crappy exclusives.. This is the only xbox game I want. Already pre order it. I like the art design and all but the difficulty is a huge turn off for me. If they would add a easy mode, I guess I would buy it but as it is I just can't enjoy such artificial difficult games. Makes you wonder what other Microsoft properties is making the Switch. Heh. @Octane The main reason it’s a surprise - is that there was a huge amount of people who believed it was both not possible technically and also, that Microsoft would not allow it. Of course it’s the same as as any game coming across, but the point is that until today, it was assumed by most people that it wouldn’t happen. Good news everyone! Not only is the game getting a physical release, but they are waiting to release it until after all DLC is out, so that the game card will contain both the game and the DLC. With Nintendo and Mircosoft becoming increasingly pally, what could this mean for Goldeneye64? Beyond excited for this. I love indies that respect historical eras and bring them to life. Cuphead pulls the 1930s right out and makes it fresh for the modern crowd. This looked hilarious but I’m getting a little apprehensive about getting this since everyone is saying it’s so hard. So where would this sit next to Hollow Knight? That is my new threshold for how much I’m willing to torment myself. @FTL Yeah, I based that one that one rumour, but apparently they said there's still something big coming to Switch; ''the Mario on PS4'' equivalent. This wasn't it apparently. @Jokerwolf The Cuphead IP is not owned by MS. It's Studio MDHR's property. @Jokerwolf @Rafie From my understanding, Microsoft doesn't own the ip. But it's a similar situation to Bayonetta, where Nintendo funded development, with the agreement that they would have exclusive publishing rights for one or more games. At least for a fairly long time. So while this isn't the same as a first party Microsoft exclusive. It is still very significant, and required some sort of agreement involving Microsoft. Since this was the sole reason I gave in and bought an Xbox One last July, I wonder how many more consoles they sold during that “exclusive” period. After the last wave of rumors seemed to be squashed, I wasn’t really expecting an all-out Switch release, but it really does feel like a game that ought to be on a Nintendo system. Between this and Mario Maker in June, my Switch is getting a huge boost to its library before this year’s even half over. I always like to replay the games I enjoy most, so I certainly don’t mind a fresh new version to play through. I hope all the new touches stay as true to the 30s style as the original, though. And to those who are worried about the difficulty, it’s not as bad as some make it seem. I didn’t think I’d be able to make it through, but I was even able to earn the two color filter mode (which requires you to get an A rank on almost every level). There is a bit of variable luck involved, but it’s mostly patterns you can learn and master. This is great news. But please, PLEASE tell me you can turn achievements off. Or at least turn off the notifications for them. I can’t stand them. Real talk I went back and forth about whether I should buy an Xbox One just for this game, so this is a nice surprise for me being a lifelong Contra fan. @Jimsbo Thanks for talking about the difficulty. That is the one thing holding me back from buying. But if I can beat Celeste (with 1000s of deaths) I want to try this game. @The-Chosen-one Wow, could you imagine if Nintendo did the next sidescrolling Mario game in this art style or a similar style? I think that would be awesome. @CupidStunt That depends on them actually. So far we've seen digital only games for as much as 40 (Yooka-Laylee), games that cost the same digital and physical and games that cost less digital than physical (Axiom Verge). This looks like a great game but this statement was hard to take seriously"Cuphead is a direct descendent of retro action games like Contra on the NES,". For Reals? I don't think so. Now where the hell is Battletoad? @rdrunner1178 Yes. We need Banjo-Kazooie on the Switch. It'd be perfect. So'd Goldeneye on the same cart, especially when paired with 8bitdo's Bluetooth N64 pads. @Octane Who crapped in your cereal?